When I was growing up, stories of enchantment always fascinated me and though my childhood is far behind me now, the allure of that magical world has never completely faded. This is one of the reasons I adore the idea of an enchanted wedding for those couples who love fantasy, romance and whimsy. This ethereal, seafoam blue wedding gown by Maria Luisa Rabell, complete with a gorgeous crown by Opal & Owl gets my vote as the perfect bridal style for a woodland queen! 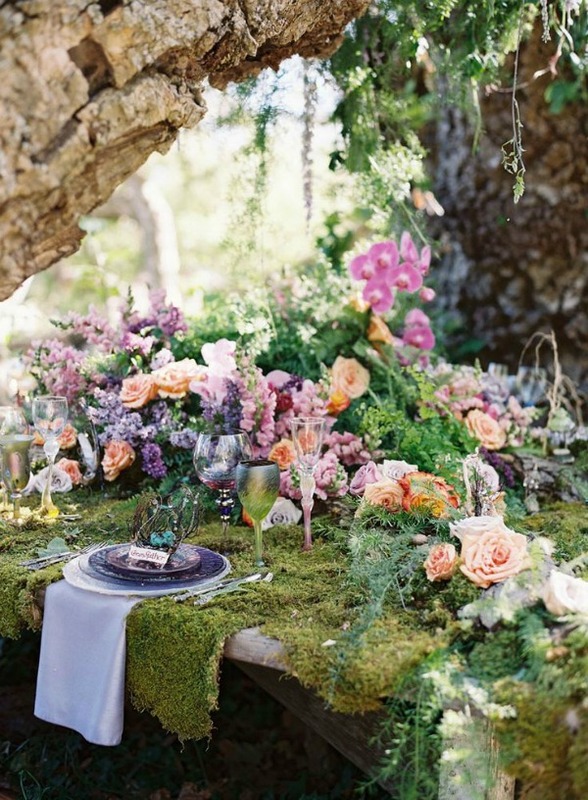 I was completely blown away when I came across this moss-laden tablescape, adorned with lush florals by Tricia Fountaine Design. Such an lovely idea to layer your reception with the texture and beauty of Nature! 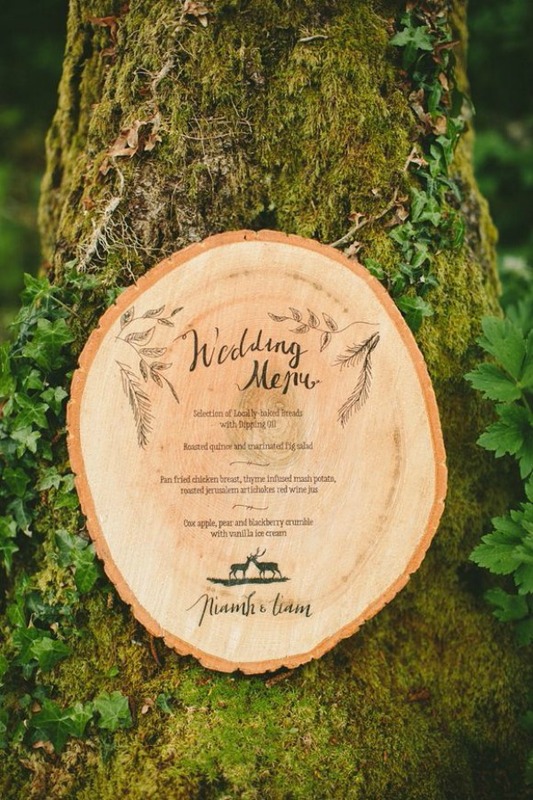 Using natural materials is ideal for this theme and this wood slice menu makes for a great keepsake! This cake, with its delicate mushroom details and rustic stand, looks like it came right out of a fairy tale! 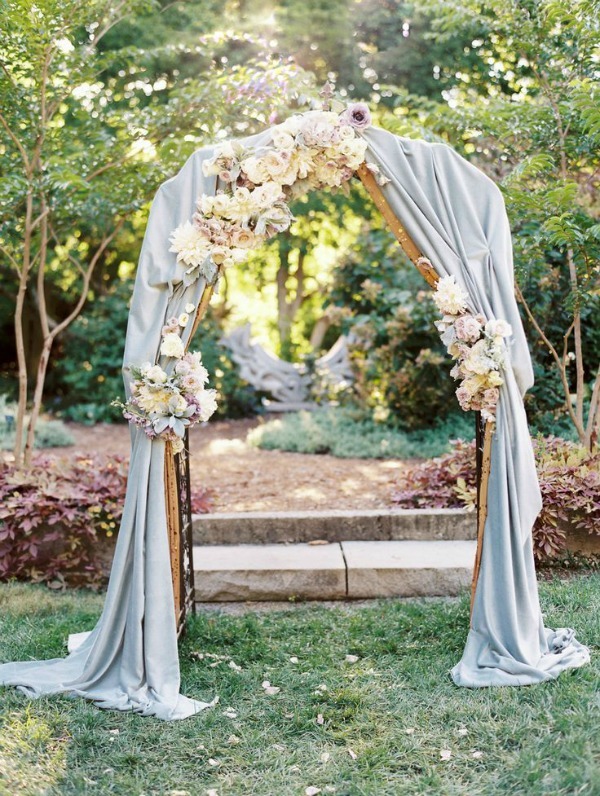 I love a floral arch for this type of wedding and this particular one caught my eye because of the beautiful, velvet draping. The soft, flowing fabric truly complements the romantic, ethereal style of the enchanted theme. 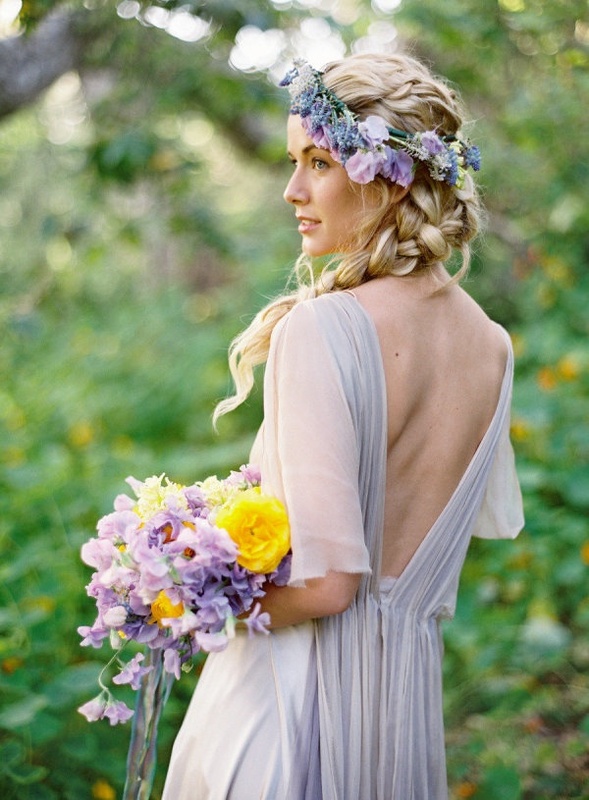 For the bridesmaids, think braided hair, flower crowns and delicate, romantic dresses! 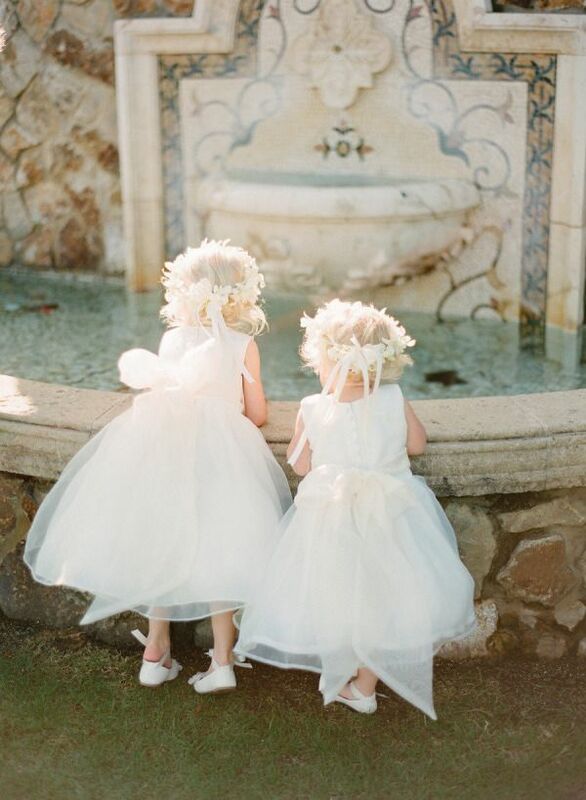 Little angels running freely with fairy wings and wands are sure to add a lovely dose of joy to any event! Ditch the getaway car! 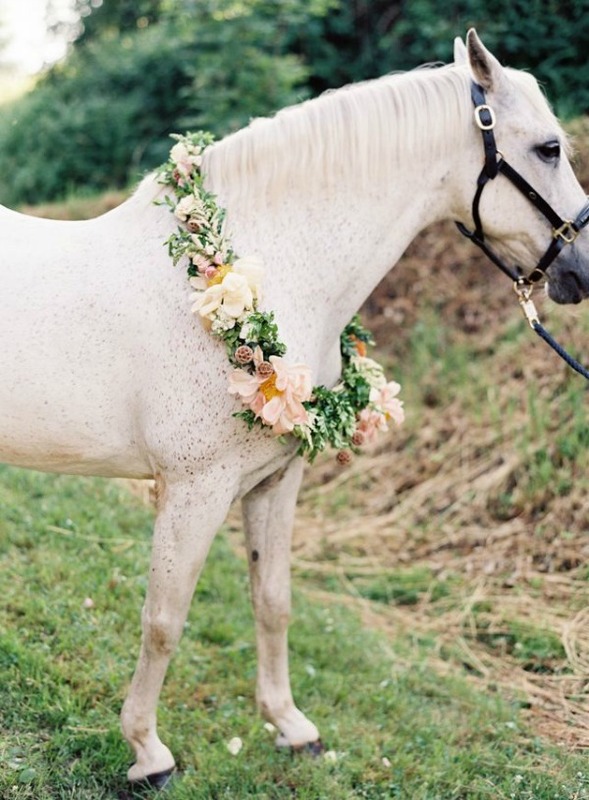 It would be so romantic to trot down the aisle on a beautiful horse and after the wedding, as the saying goes, ride off into the sunset together! If you’re nervous about horseback riding, a horse-drawn carriage would also be amazing! 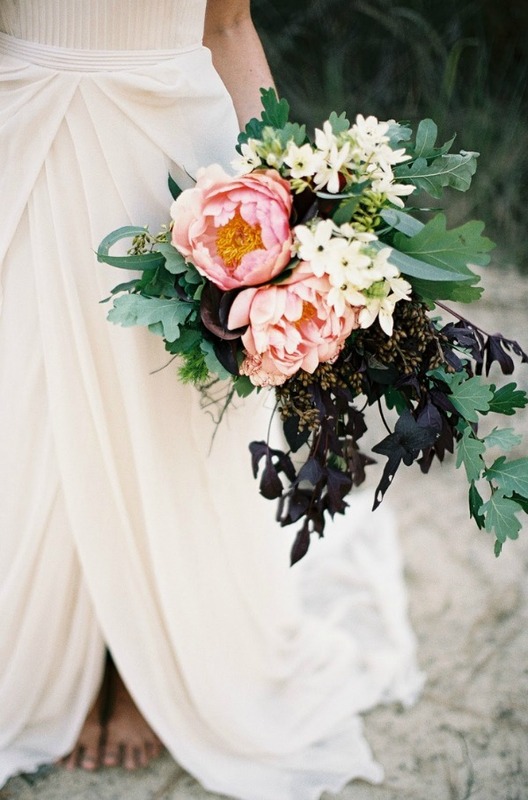 A loose, organic arrangement of lush blooms would be ideal- I adore this oversized bouquet by Green and Bloom. You might also want to take advantage of current cascading bouquet trend! 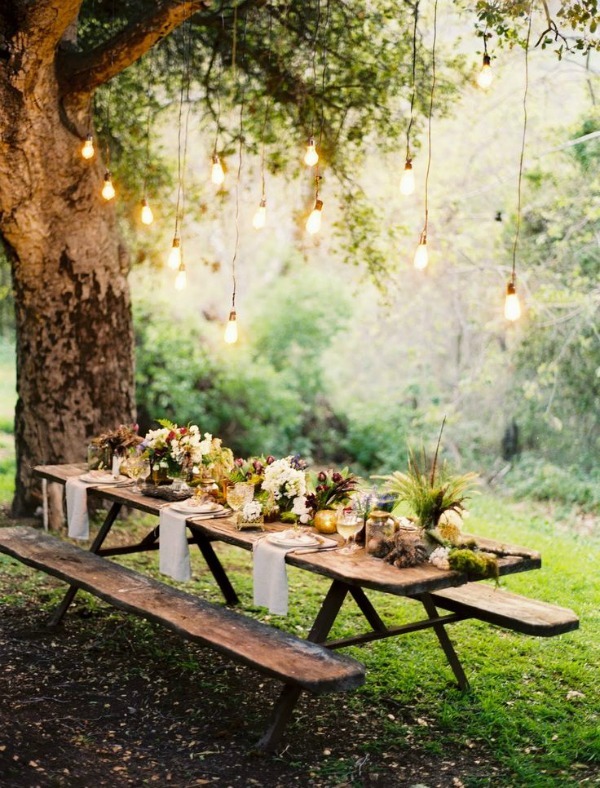 Finally, no enchanted woodland wedding would be complete without some magical lighting to lend a warm, romantic glow! Eek! This is all kinds of gorgeousness! I love, love, love that first image. This post is the epitome of a grown-up version of a fairy tale – ADORE everything! 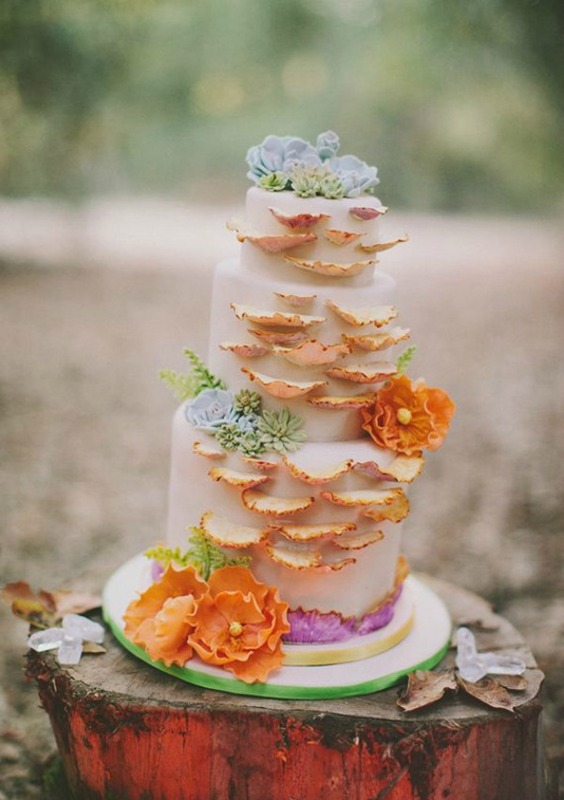 These ideas are so pretty especially love that wedding cake! These are all so stunning! I feel like you and I are kindred spirits when it comes to loving all things romantic and enchanting! Thanks! I feel the same way- so a lot of what you do actually inspires me! These image look like they were taken in a fairy tale. How perfect this theme would be set in Scotland or New England. Its great seeing our wood slice menu on your page! That menu is amazing! Love your work! Lovely ideas. Though as a horse owner I have to be a party pooper and say that “riding off into the sunset” will end up being way more complicated than it sounds. I’m an experienced rider with a well-behaved horse and I still think it would be a bad idea. If you’ve never ridden, one little spook can send you to the ground and I imagine there are no helmets in this scenario. Most horses are wary of big poofy things like dresses, they might decide to take a big dump at the absolute worst time, etc. Stick to the carriage. Ah, understood! Well we’ll definitely stick to your advice then, thanks for that and for stopping by!